Full on team work today inside and outside of work! Three sessions running concurrently at the university today. 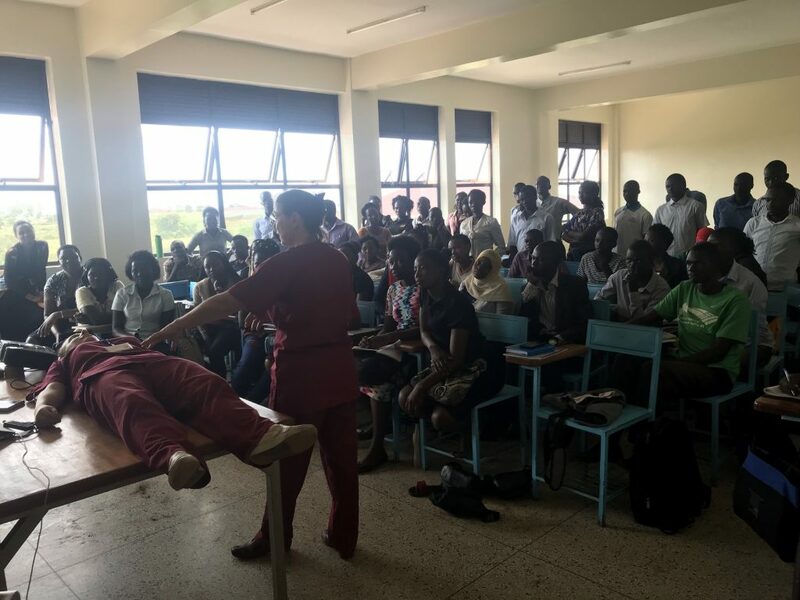 Judy and Edwina (Judina) taught 1st year students with about 75 members the basics of Shock, pressure ulcer prevention and A-E assessment. A very confident class who were keen to demonstrate their own scenarios and show off their acting skills. A very engaged and enthusiastic class. Frankie and Eva (Evankie) took the 3rd years for basic anaesthesia. What a team! Plenty of laughs all round. Eva managed to anaesthetise one of the students to the amusement of the rest of the group and Frankie was the very expensive anaesthetic machine. Julie spent some time with the Year 4s who had exams coming up helping them to cram on Eclampsia and fetal monitoring and help them put their excellent knowledge of physiology to use in understanding clinical scenarios. 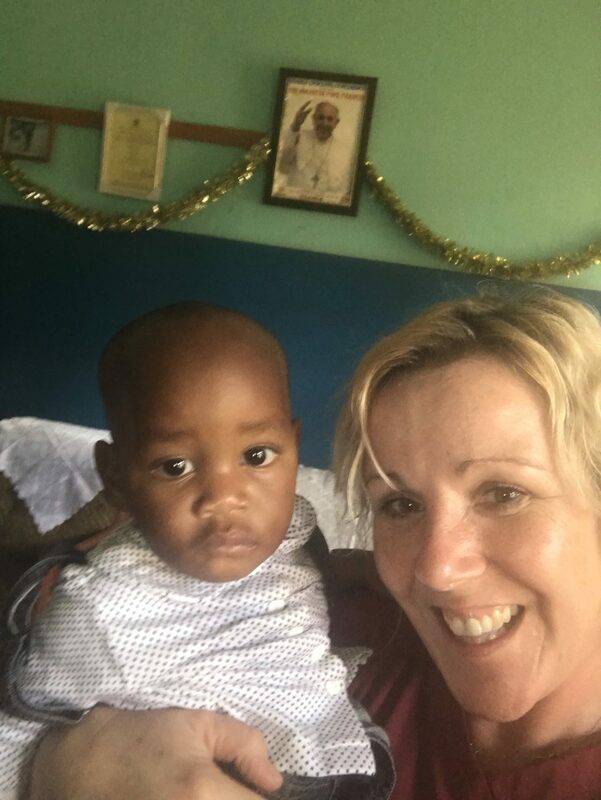 Julie and Edwina then nipped off with Arnold to the local orphanage to catch up on last year’s remaining twin who has continued to receive support from donations from friends back at home. It was so lovely to find him well cared for and healthy even if he was terrified of the white women cooing over him! Edwina and Julie returned to the hotel early as the rest of the team were at a meeting at the University discussing the excellence of the Bachelor of Midwifery course and how it sits with other Bachelor degrees in allied healthcare professions. There were talks from two ex-students who have now qualified who gave positive and inspiring accounts of their internships and opportunities both financially and clinically and the general high esteem that comes with the degree. Whilst waiting for their return, a motorbike collided with a pushbike right outside of the hotel gates. 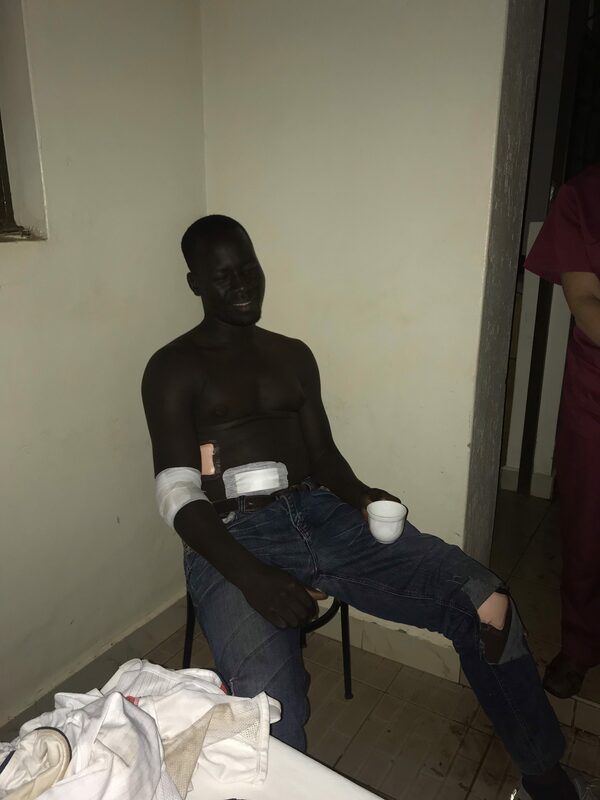 The cyclist had an obvious wrist fracture and the motorcyclist was shaken up and a bit battered. At the same moment the heavens opened in a way it only does in Uganda and the electricity failed. Edwina’s skills came to the fore as she patched up the motorcyclist and the cyclist was taken to the medical centre by colleagues to find he had a radius and ulna fracture.